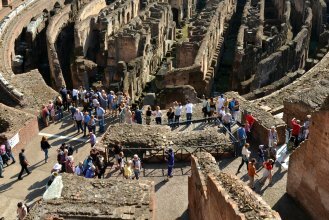 Thanks to this reservation you can visit the Colosseum and discover all its secrets by listening to the explanations of your audio guide. 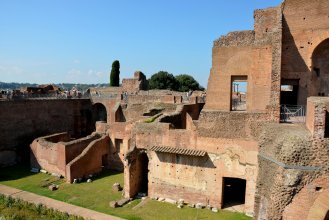 At the end of the visit with your audio guide, you can visit the Roman Forum and the Palatine with the same entrance. 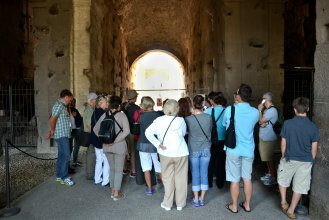 Audio guides are available in Italian, English, French, Spanish, German, Japanese, Chinese, Arabic, Latin, Portuguese, LIS and ASL (Italian Sign Language and American Sign Language). 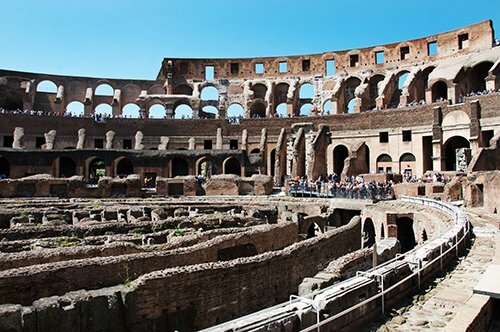 ATTENTION: According to the Rome Superintendency regulations, for security reasons, the Coliseum can hold up to 3,000 visitors at the same time. 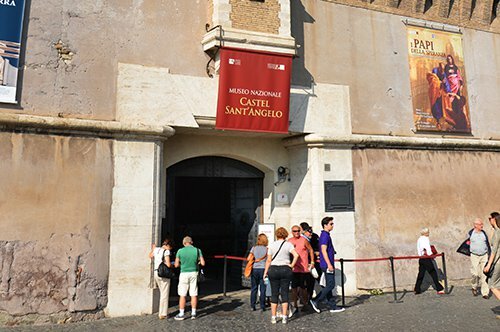 To comply with this rule, access may suffer delays. 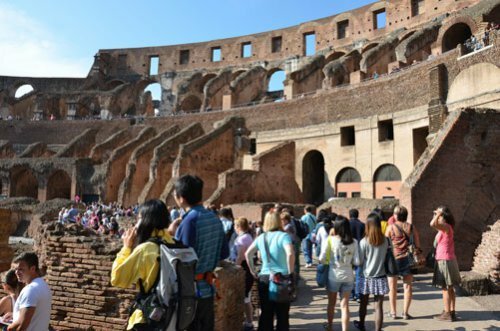 The Colosseum is subject to security controls at the entrance and it may be necessary to wait in line at the metal detector for security reasons. 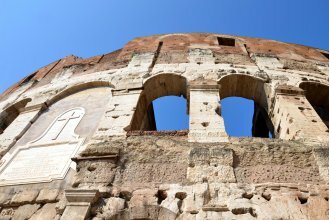 For security reasons, it is forbidden to enter the Colosseum with backpacks, suitcases and large bags. 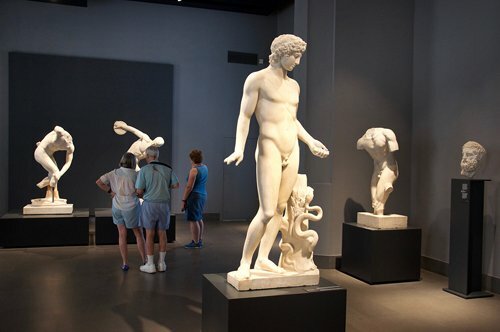 Where do I pick up the entrance ticket? On the day of the visit, please present the voucher at the box office of Largo della Salara Vecchia. 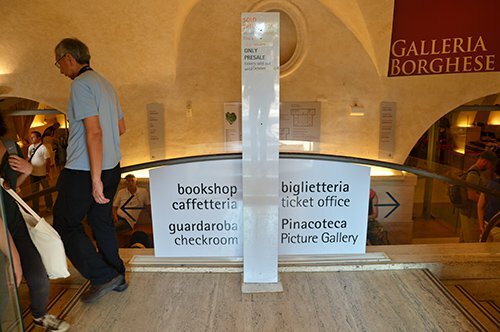 Once you enter the Colosseum, pick up your audio guide at the dedicated desk. 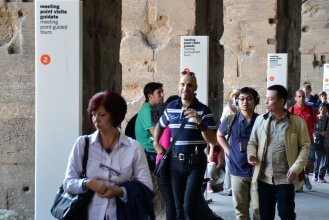 When you pick up the audio guide you need to leave an identity document that will be returned to you at the end of the visit to the Colosseum. 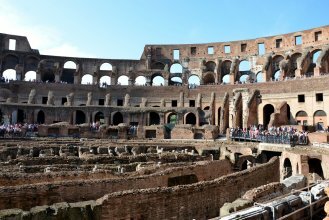 According to the Rome Superintendency regulations, for security reasons, the Colosseum can hold up to 3,000 visitors at the same time. To comply with this rule, access may suffer delays. 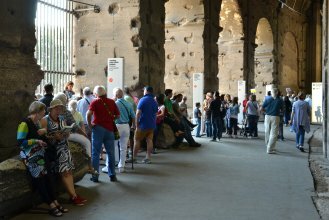 The Colosseum is subject to security controls at the entrance and it may be necessary to wait in line at the metal detector for security reasons.